2. Duration. This scholarship only supports master' s students for no more than 3 academic years or doctoral students for no more than 4 academic years. The scholarship covers both major study and Chinese language/preparatory study, as specified in the Admission Letter. Scholarship students can register for either Chinese-taught program or English-taught program if applicable. 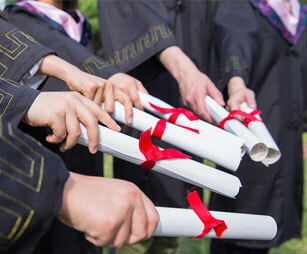 (Program Search can help you find the program and university you're interested in by visiting http://www.csc.edu.cn/studyinchina or http://www.campuschina.org). Where to apply is to the designated Chinese universities undertaking this program and when to apply, you need to apply between early January and early April. Please consult the Chinese universities for the specific deadline of each year. be a master' s degree holder and no more than 40 when applying for the doctoral programs. Step 2 - Complete the online application procedure at CGS Information Management System for International Students (Visit http://www.csc.edu.cn/studyinchina or http://www.campuschina.organd click “Application Online” to log in), submit online the completed Application Form for Chinese Government Scholarship, and print a hard copy. Please consult your target university for the Instructions of the CGS Information Management System for International Students and Agency Number. Only applications of recommended candidates from designated Chinese universities will be considered by CSC.